THESE PHOTOS ARE FROM A FUN SESSION OF A FELLOW PHOTOGRAPHER AND HER FAMILY AT DOUBLE TROUBLE STATE PARK, ONE OF OUR FAVORITE LOCATIONS, SO GLAD TO BE BACK! It is always an honor when we are asked to photograph a fellow photographer! Let's face it though, it can be pretty intimidating too! The forecast wasn't helping, but as is typical when we fret about the weather, those who stick it out are rewarded! It cleared up and was beautiful, with a few raindrops just starting to fall as we packed up the car. Imogene, who's name we absolutely love (way to go mom and dad!) just so happens to have an adorable personality to match. I'm not sure if mom has been training her, or if she's just a natural, but either way she is such a sweetheart. It took some coaxing at times, but what would a first birthday session be without some crazy Jac&Jules antics?! They gotta make us work for it a little, lol! 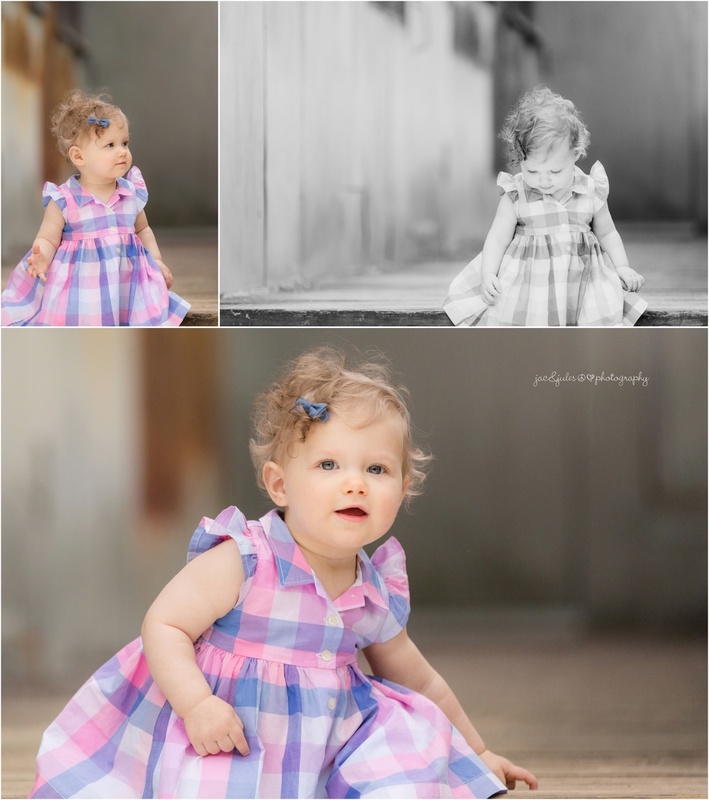 We enjoyed photographing her at 1 year, just as much as at her newborn session last year at her family home in Pennsylvania. It was a pleasure working with you guys again, and we look forward to capturing many more family memories with you in the future! Enjoy! Take a look at some of our favorite photos from Friday's session at Double Trouble State park below! We love reading your comments, so don't forget to drop a line! Do you have a favorite? !